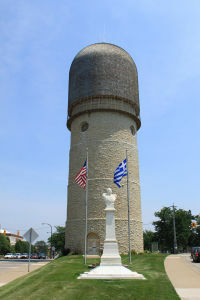 Erected in 1890 the Ypsilanti Water Tower at the highest point of elevation in Ypsilanti. This has become one of the most well-known landmarks in Ypsilanti and is used as a point of reference for giving directions. 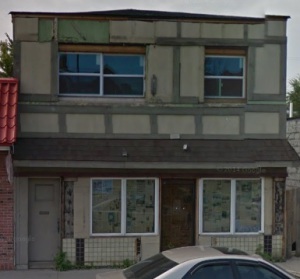 It also has a marble bust of Demetrius Ypsilanti as well as a Greek flag there to honor the man who the city is named after. The first building in Ypsilanti that was included on the National Register of Historic Sites. A club for women since 1878 that is still going today, it is most well known for it’s Christmas Bazaar where the club has a lunch and raffles and sells crafts. 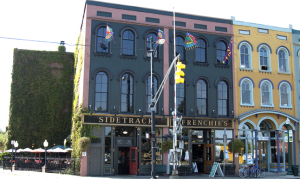 Voted Best Burger in the U.S. by Travolta Family Entertainment, Sidetrack is located right next to the main railroad line between Chicago and Detroit. The building has been used as a restaurant since 1850. 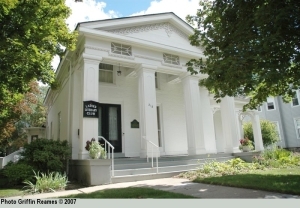 The building has a unique shape to it because of a train derailment that damaged the building in 1929. 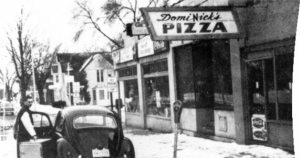 The food wins awards almost every year and is a very popular place to eat in Ypsilanti, check it out if you are ever in town! 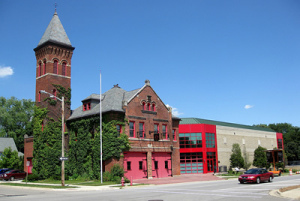 The Ypsilanti Firehouse Museum was made to be an exhibit for the history of firehouses and firefighting. The Ypsilanti Firehouse Museum includes the original Ypsilanti firehouse from 1898 as well as many antique fire engines. They have many collections of historic firefighting equipment, such as trucks, ladders, breathing apparatus, and extinguishers.